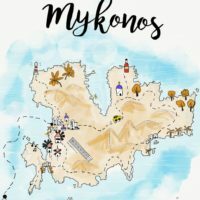 Greece is one heck of a delicious country. I swear, If it was a restaurant, I’d have signed up to its loyalty card, tried every single thing on the menu and probably have to be rolled out in fear of eating the whole kitchen. Honestly, there are so many tasty and some of the best Greek foods to be devoured all across the country. Oh, and If you haven’t guessed, Greek food is kind of a big deal! 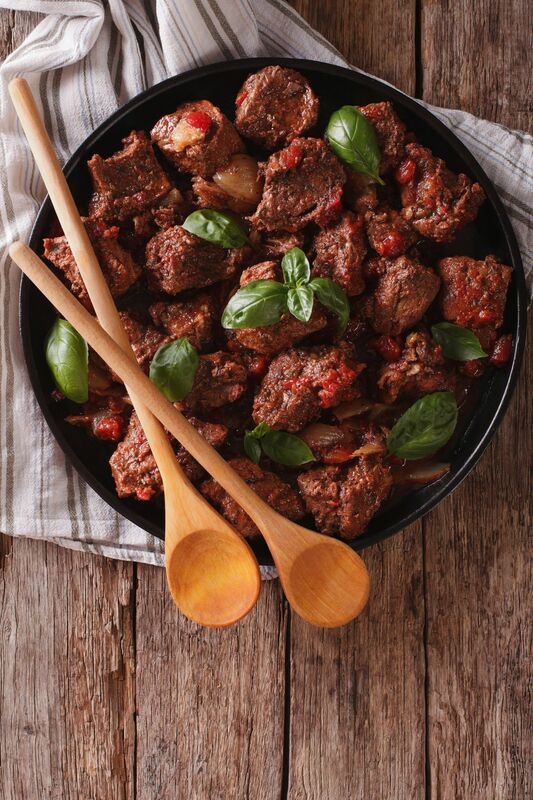 Stifado is one of Greece’s most hearty stews and one of the best Greek foods to try. Filled with your choice of chunky beef or rabbit, a few pearl onions, some cinnamon and a little wine (for good measure) is included. This rich soup-like meal is best-served piping hot and with some fresh, crusty bread (though rice, pasta and sometimes mashed potatoes can be served with it). Obvious… yes! You can’t think of going to Greece without having some refreshing Greek yoghurt first thing in the morning. It’s the best way to start the day and one of the best Greek foods to have for breakfast. Now, Greek yoghurt has a slightly sharp and unsweetened favour, which can be delicious alone or with dollops of local honey and fresh figs. 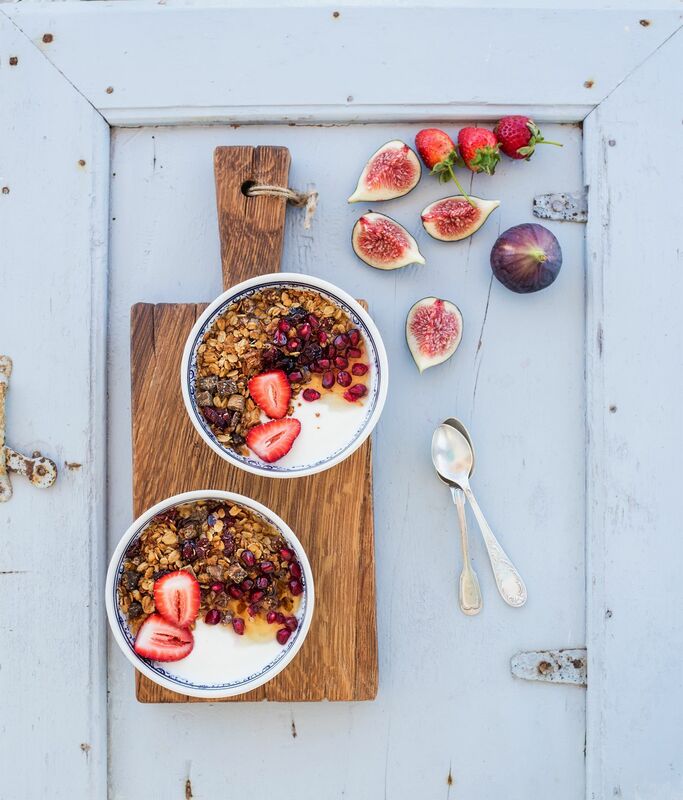 If you’re looking for a heartier breakfast, add some granola too! It’s delicious, especially on a Summers morning on the islands like Santorini. A dolmadaki (or several) is definitely something you should devour as soon as you arrive in Greece. It’s one of the best Greek foods to try if you want an authentic taste of the country. 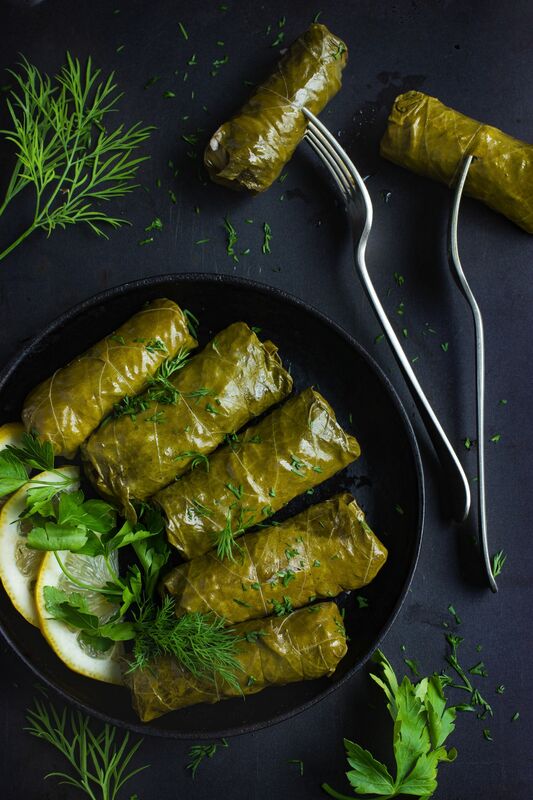 Made from finely chopped rice, sometimes mixed meats and herbs like parsley and mint all wrapped inside an edible grape leaf. Drizzle with lemon for a zingy and refreshing lunch. 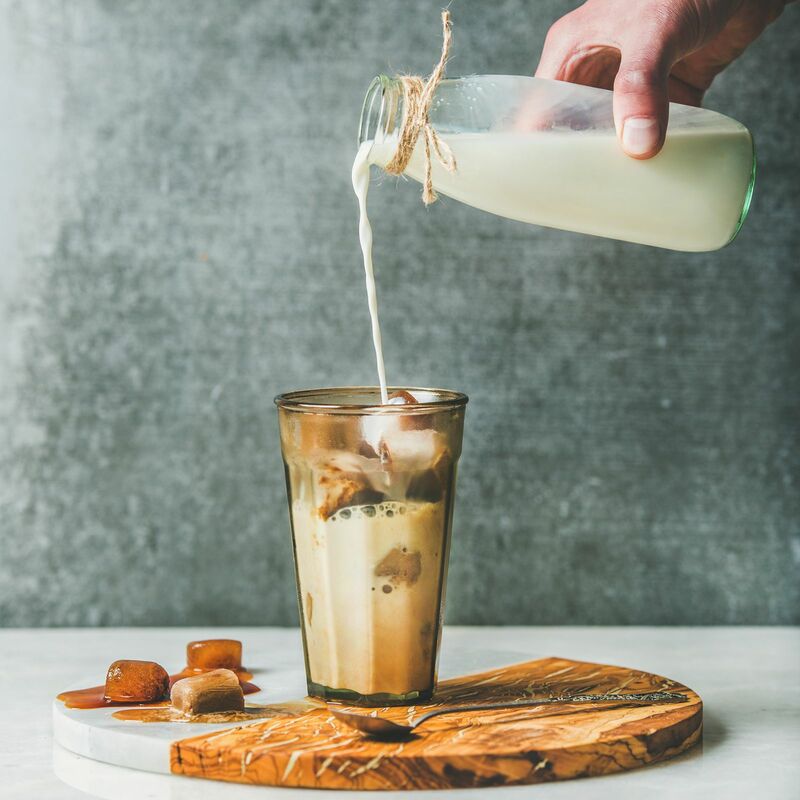 Okay, there are a few different ways to make a Greek coffee – if you’re looking for a robust and pretty strong brew, make sure to get a local (almost powdery textured coffee) that are made within a briki – perfect for an evening pick-me-up. 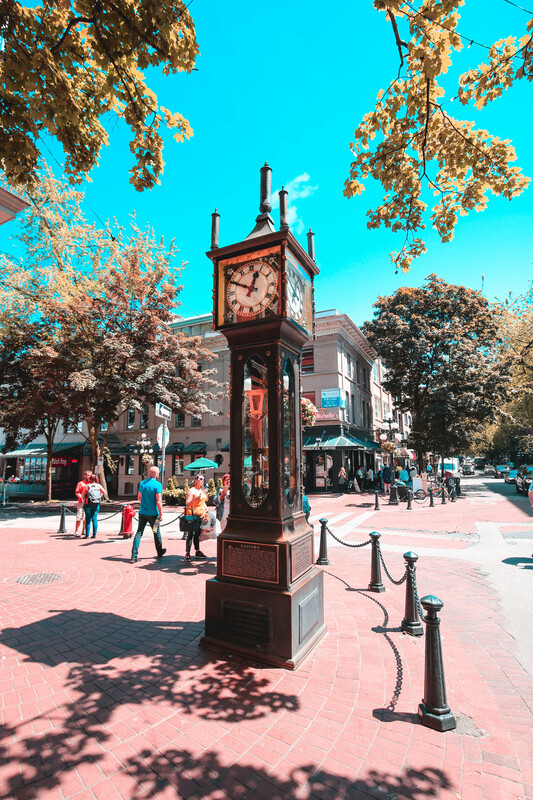 Then again, if you’re visiting in the height of summer, you’ll want to sip on an ice-cold frappé that was accidentally invented in the northern Greek city of Thessaloniki. So, it’s best to imagine Spanakopita as a mighty slice of heaven and totally gorge on. 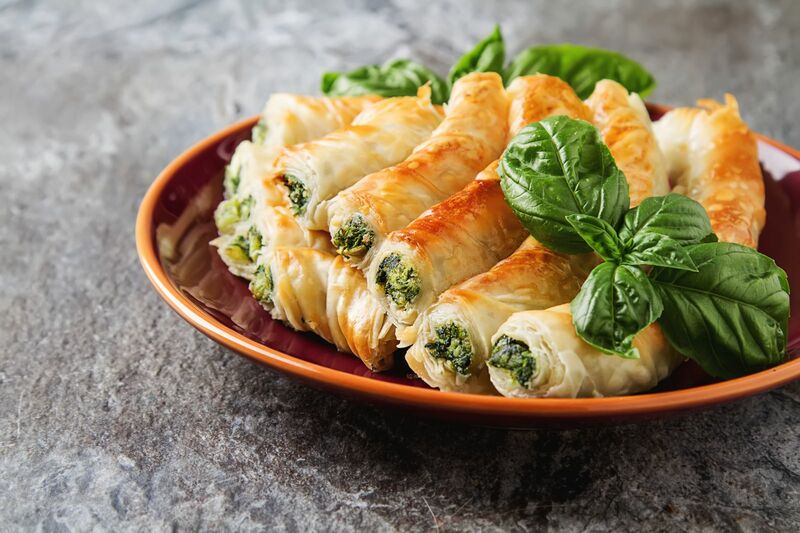 This savoury pastry is typically filled to the brim with mountains of crumbling feta cheese, fresh spinach, sweet onions and a sprinkle of seasoning. I literally gouged on these every morning. 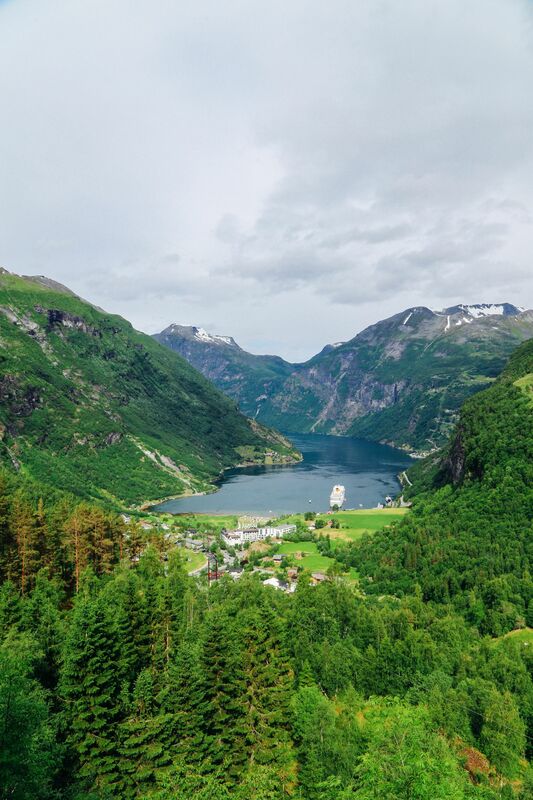 It’s too delicious to ignore. 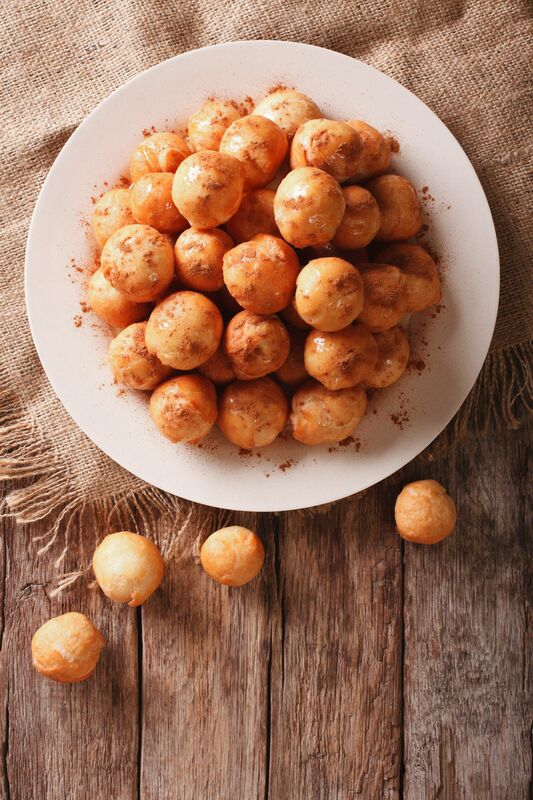 For me, Loukoumades are little bundles of joy that are too good to miss! Almost like little doughnuts, they’re best served with plenty of honey and walnuts, some places might even include a sprinkle of cinnamon to taste. These guilty pleasures are best served fresh so make sure you pop into a restaurant and bakery that’ll prep them for you (rather than buying pre-made ones). Look, Mousaka has to be one of the most famous and best Greek foods. 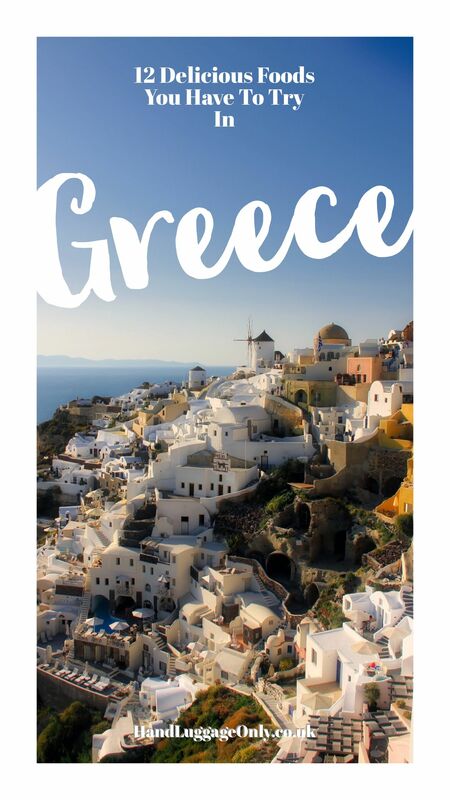 It’s almost a staple when it comes to thinking of Greece. Every time I’ve travelled to Greece, I always notice little variations in the delicious moussaka, which makes it totally exciting as they all taste that tiny bit different. 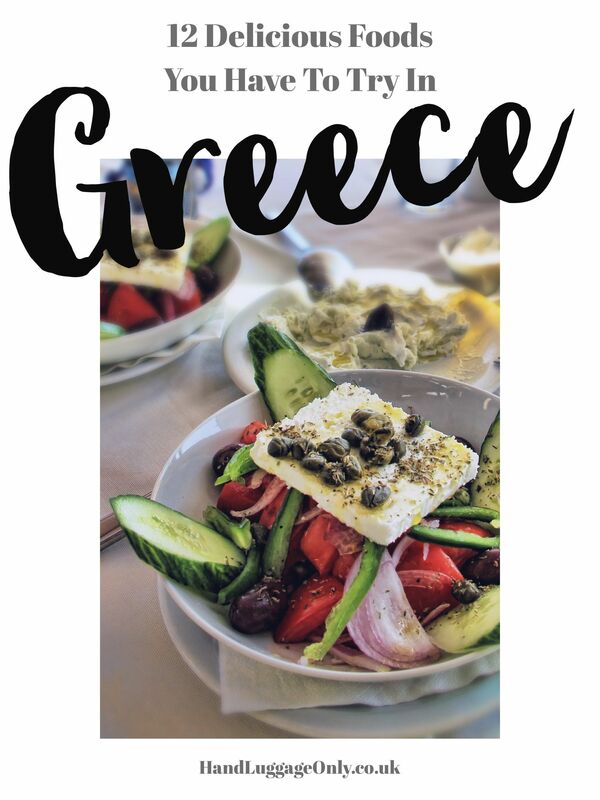 The stunning Greek islands seem to have a more herby version, where other areas have a stronger and richer flavour. 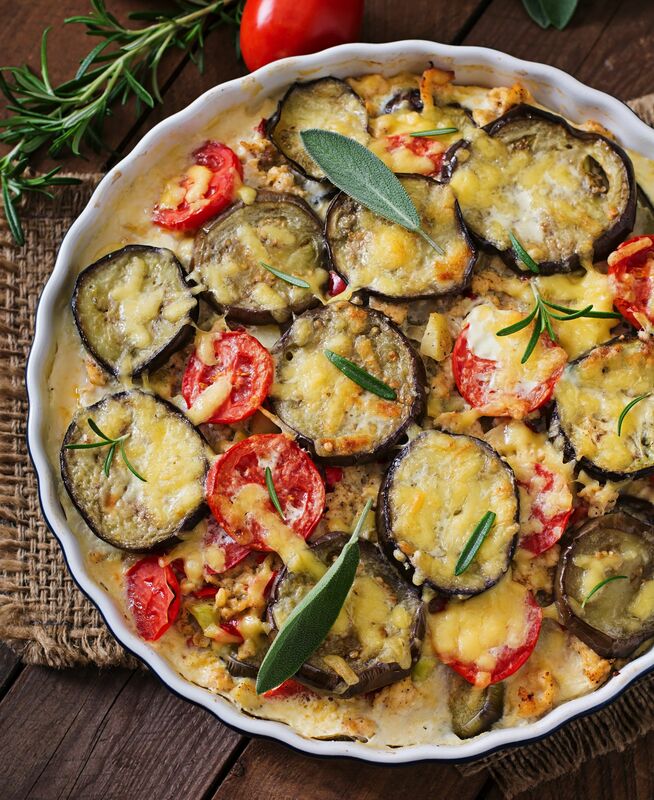 Whatever the variations, it tends to include lashings of eggplant, meats and a gooey amount of cheese. 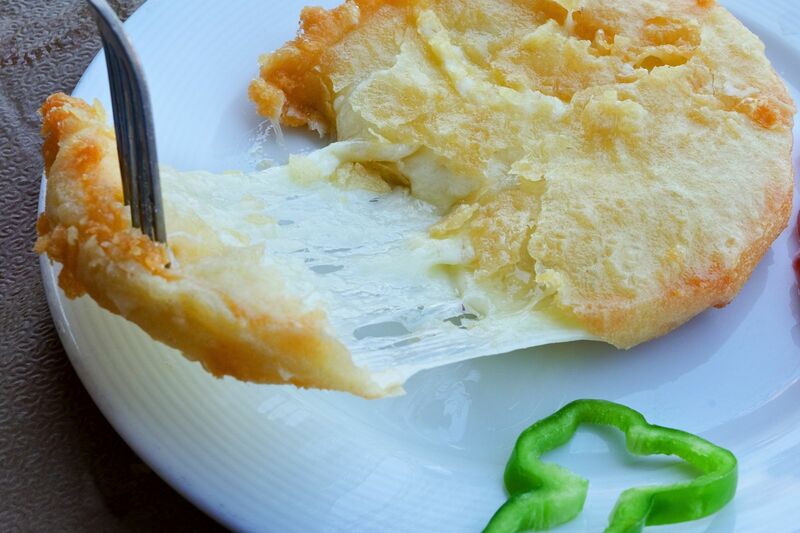 Right, Saganki is often served as an appetiser before a larger meal (or beside some other dishes), saganaki is, best thought of like a slab of yummy cheese that is quickly tossed and fried in a searing hot pan. After it’s prepped, drizzle some fresh lemon and some sprinkles of pepper. Okay, Imagine souvlakis as a big skewer of freshly grilled meat. 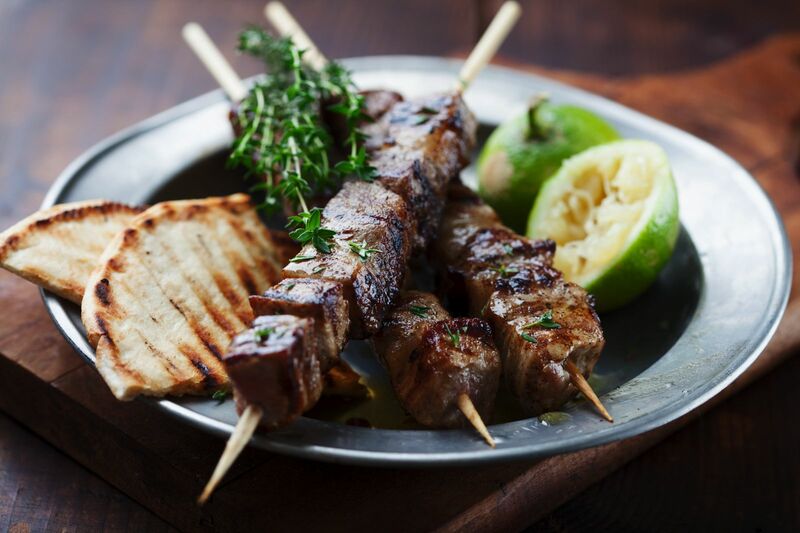 Usually consisting of beef, lamb chicken or more meaty fish (like Swordfish) it’s best served with a side salad or a little crusty bread (with lashings of olive oil and sea salt). 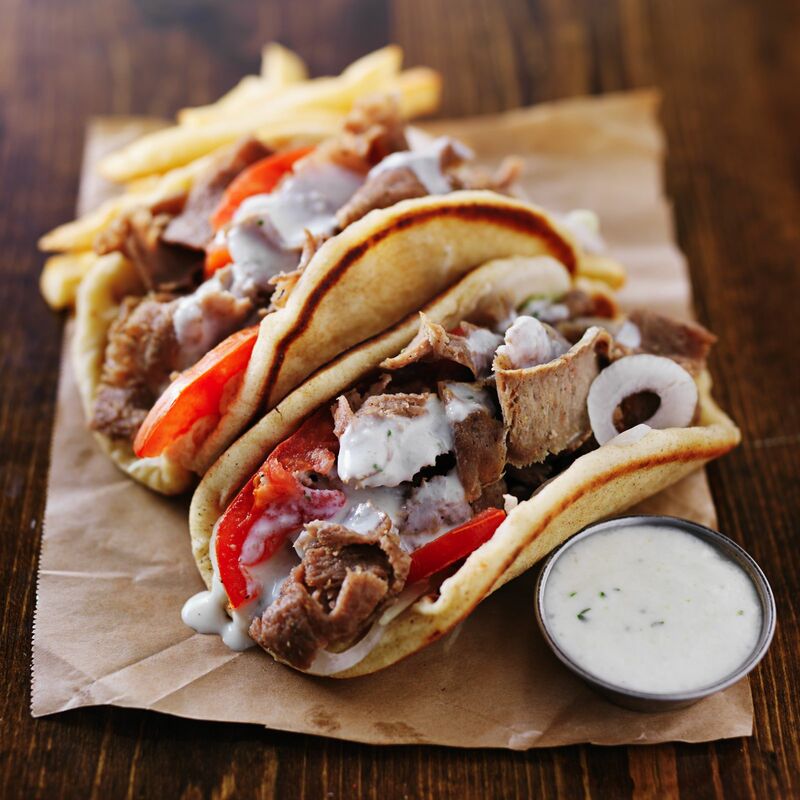 If you’re wanting a quick and hearty bite, grab yourself a gyro that is best described as a meaty wrap filled with plenty of sauce, salad and sometimes even fries. 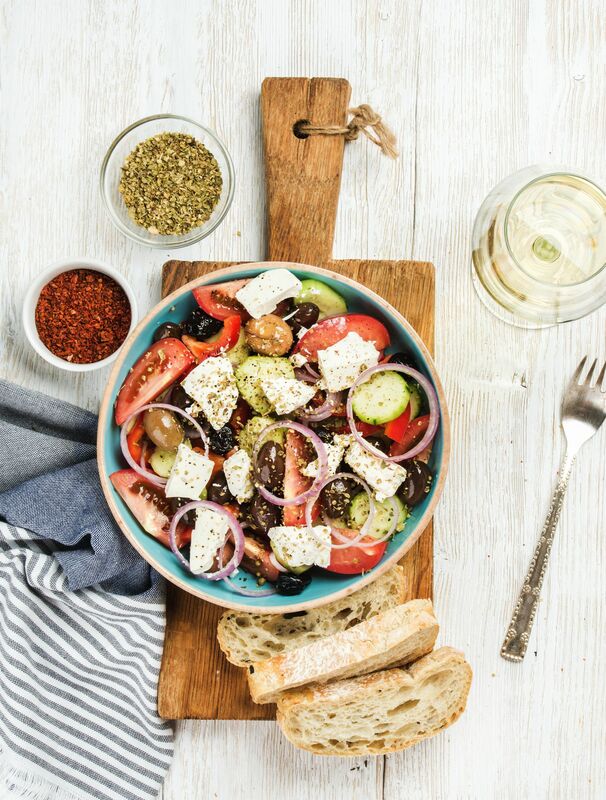 Let’s be frank, a Greek salad is a summer staple when on the islands of Greece, especially when the heat of midday peaks. Filled with plenty of fresh tomatoes, crunchy onions, salty Kalamata olives and a massive chunk of feta. Add plenty of olive oil, sea salt and oregano to taste. 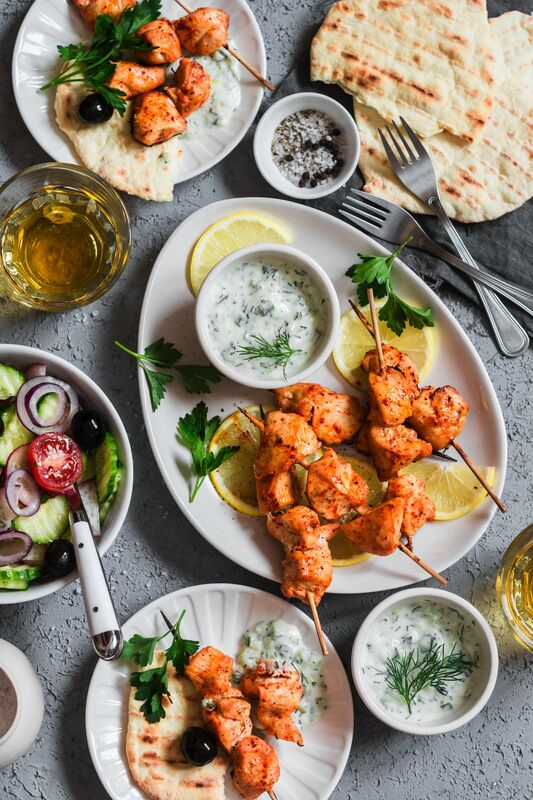 To be honest, Tzatziki is best described as a herby yoghurt that’s often served with freshly cooked meats, bread and salads. Similar in origin to its Turkish counterpart, cacık, Tzatziki is best served chilled and is so refreshing on a hot summer day. Now, a slice of pastitsio is a hearty meal, filled with mountains of pasta, minced meat and béchamel sauce (which consists of a whitish, butter and milk sauce). 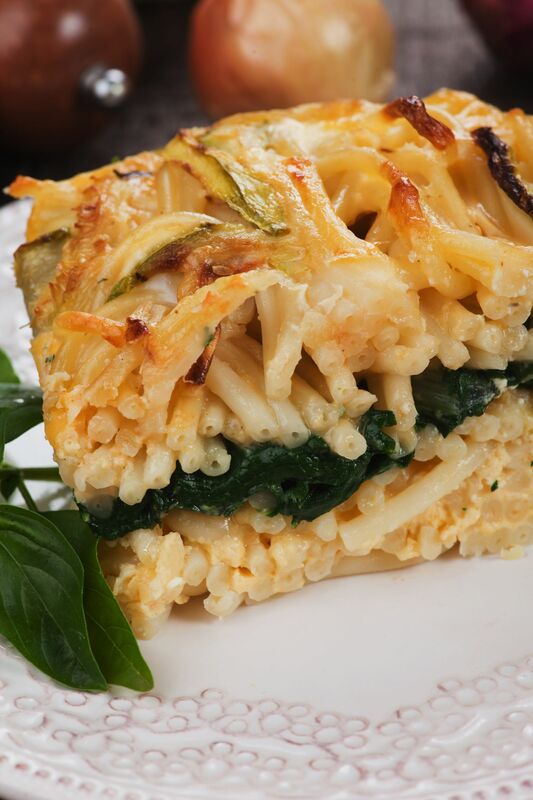 Make sure to order a smaller salad as a side (or just fill up on the oodles of Pasta you’ll have within a pastitsio).